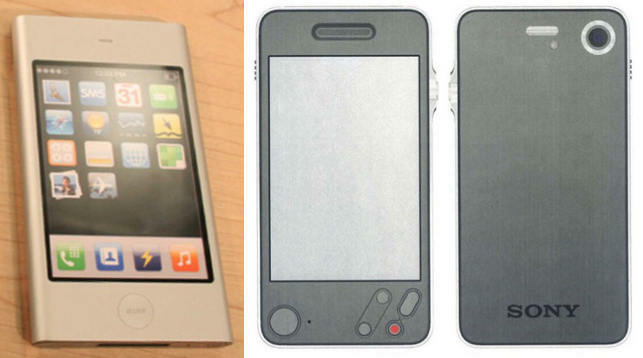 Did Apple invented the touch-screen mobile phone? The war it launched against the copiers are implying. However, it is not so sure! For years, Apple has worked hard to prevent that we have access to documents concerning the creation of the iPhone. The designer of Sony who moved to Apple who created the design was still "on vacation" and that's after many legal actions that Samsung opponent in a trial launched by Apple was able to obtain his testimony. Let's see what he reveals further. When we compare smartphones through time, there arises a question. Who copied whom? All three devices are similar. When were they marketed? Around 2000, Nokia had already presented to carriers an experimental mobile and tablet with a color touch screen and a single physical button. But these ideas did not materialize as commercial products. IBM launches the IBM Simon Personal Communicator. It is a mobile phone with a touch screen and icons, able of exchanging emails and considered the ancestor of smartphones. 50 000 units were sold. Scott Forstall brings together a team to work on a secret project. It was to create a phone that Apple employees would like to use. According to Apple, the firm has designed a prototype named Purple, foreshadowing the current iPhone, and therefore existing prior model created according to Sony design. The Sony design would be an enhancement of this concept. 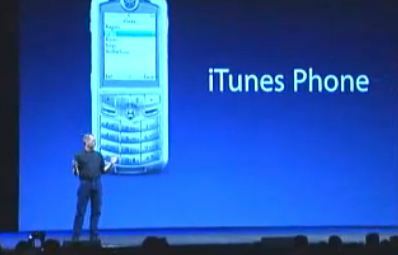 Steve Jobs during a presentation unveils the iTunes Phone. Built by Motorola under the name ROKR, il includes technologies designed by Apple to play music. It is not very different from the Blackberry 8100 series. 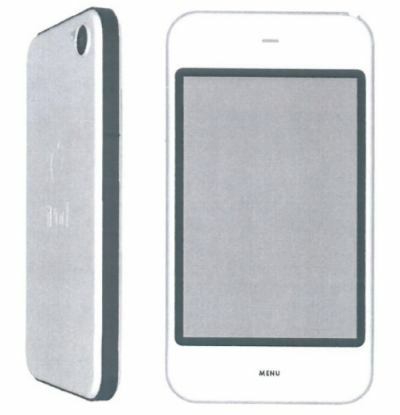 The San Jose trial reveals that Apple was working on a prototype called P2 which was similar to a iPod and then got inspired by the sony prototype. Before the design of the iPhone, Steve Jobs and Jonathan Ive had a meeting with a designer of Sony who described them the concept of a mobile touchscreen without buttons. Following this, Shin Nishibori, a designer of Apple has been commissioned to design a prototype for Apple, called Extrudo. This is the one you can see below at right. Then Richard Howarth, designer of Apple recommends this new 'Sony" design to Jonathan Ive (email produced during the trial) rather than that of the P2, at left. 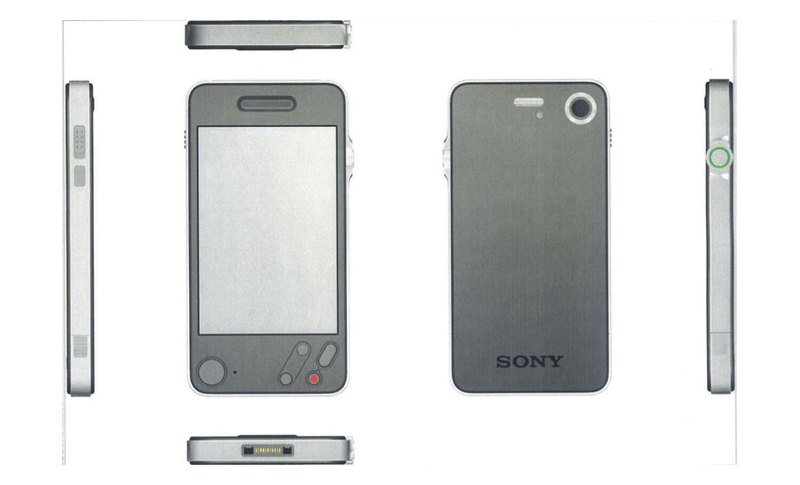 However Apple claims the Sony design was based on another concept from them made in 2005, called Purple. That does not explain the conference in September 2005. And this does not detract from the fact that they chose to retain the Sony design (and not the Purple one). Apple is granted patents D 618 677 describing a device rectangular with rounded corners and D 583 087, black with a glass on the front. However this latter patent is questionable because the design is similar to that of a Sharp device already patented in Japan (JPN No. 1241638). LG presents the Prada to a design competition, the IF Design Award and won the competition. LG Prada KE850 is presented to the press. It is a touch screen device that was announced December 12, 2006 and whose images appeared as early as December 15, 2006 on Engadget. Samsung files a patent describing the F700. The first iPhone was introduced by Steve Jobs, Apple's CEO, at the Moscone Center in San Francisco, California. The device was sold June 29, 2007. 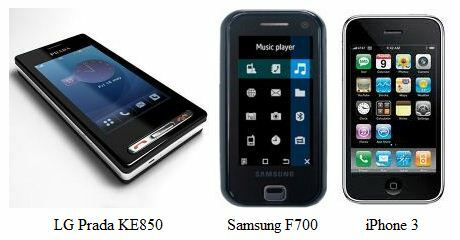 Samsung F700 was presented according to Samsung's website. It has a touch screen too. 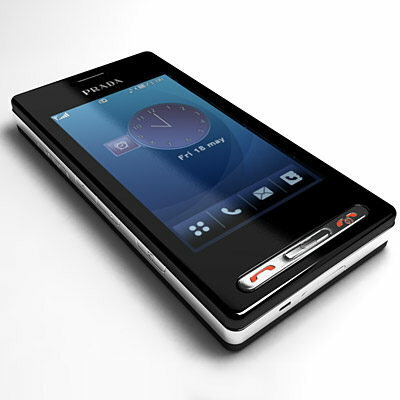 Contrary to what suggest a campaign on the Web, the F700 did not precede the iPhone, but this is the case of Prada. However, Apple had not had time to copy the Prada, nor Samsung to copy the iPhone, all these devices have all been invented at that time. But the unique design of the iPhone did not come from Apple, it came from Sony. We also know something else about the gestation of the iPhone. It did not precede the iPad as the tablet was designed before the iPhone (but sold after). The iPhone is actually a small tablet, which is why it is so different from other phones. We understand also why the same ideas were developed in the competitors: they were in the air for a long time.